There has never been a better time to launch a startup in Chicago. A robust and active network of investors ensures that young tech companies have the funding and mentoring needed to survive and thrive, and the city’s deep talent pool makes it easier for growing startups to scale. For our annual 50 startups to watch list, we’re shining the spotlight on 50 companies founded in the last five years that are poised to make a major impact in the tech world. These companies have the ideas, talent and funding to push Chicago’s tech ecosystem to new heights in 2018 and beyond. Egg whites, almonds, cashews and dates weren’t the only things that helped RXBAR become a $600 million company. A savvy digital marketing strategy helped take the company from its co-founder’s basement to the Kellogg Company boardroom in less than four years. And RXBAR is poised to carve out an even larger presence after its acquisition, with plans to substantially grow its team in the year to come. Government websites aren’t getting easier to use, which means CityBase should have a lot of work in the years to come. The startup’s cloud-based technology helps local governments make their online offerings — think anything from permit applications to payment portals for tickets and utility bills — more accessible. 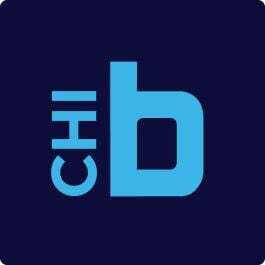 In 2017, CityBase welcomed a new COO in former DialogTech SVP Josh Mallamud and was honored by the city of Chicago for adding 50 new hires to its team. Braviant Holdings uses advanced machine learning and proprietary technology to streamline the online lending process and improve access to credit. The company’s headcount has nearly tripled since its Chicago office opened in the summer of 2016, and continued growth is planned for 2018. Camelot Illinois is going to be busy this year. The sister company of Camelot Global, which operates lotteries around the world, has taken over management of the Illinois Lottery. According to the Chicago Tribune, the state’s lottery brought in more than $700 million in profit in 2016. To ensure that the cash keeps flowing, Camelot Illinois will grow its team. The company currently has openings across a variety of teams, including its data analytics, sales and finance departments. Screencastify is simplifying the process of creating screencasts — as in, those first-person videos of a computer screen you watch when confused by new software. The startup has created a Google Chrome plugin that lets users create screencasts without having to download any software. The five-year-old startup has seven million users in 189 countries and is used by teams at companies including Netflix, Twitter and Salesforce, among others. UPshow helps businesses up their social media game through what it calls the “jumbotron effect.” The company’s technology takes customer social media posts and shares them on a venue’s television screens. In addition to increasing social media interaction, UPshow’s tech can also be used for marketing purposes. UPshow raised $1.5 million last year in a round that featured outgoing 1871 CEO Howard Tullman. Digital Mint is betting that the future of cryptocurrency trading involves, at least in part, physical locations. The startup’s ATMs and teller locations allow consumers to buy bitcoin using cash, with some locations allowing bitcoin to be sold for cash as well. As cryptocurrency took off in 2017, so too did Digital Mint’s physical footprint. The company expanded from nine states to 12 and launched over 50 new ATM and teller locations. Fraight AI uses artificial intelligence to automate the repetitive aspects of the freight brokerage process, such as communicating with logistics providers, to see how the weather or current gas prices affect the cost of shipping. The company’s AI-powered broker, Archie, is capable of communicating over text message, fax and email. Fraight AI celebrated its first official funding in June of last year with an $850,000 seed round. The company is one of several Chicago startups focusing on harnessing technology to improve freight operations. It can be hard to keep track of all the fintech startups in Chicago, but one company worth keeping an eye on is CFX Markets. The startup built a market that lets traders buy and sell assets usually considered illiquid, including stakes in large-scale commercial real estate projects or business development companies. These transactions are typically time-consuming, but CFX Markets leverages the Ethereum blockchain to cut processing times. The startup raised its first round of funding in November, a $2.2 million Series A, and is hiring. Finding a house or apartment online is ridiculously easy. An office space? Not so much. That’s why serial entrepreneur Andrew Bokor launched Truss. Landlords post listings, which include professional photos, directly to the platform. Renters can search for spaces or work with a chatbot named Vera, who knows the fair market value of an office and can schedule tours. Truss announced plans to expand across Texas — and eventually, to cities on both coasts — after closing a $7.7 million Series A last summer. David Vandegrift and Ablorde Ashigbi know firsthand the power of a professional network from their time as VCs at Pritzker Group Venture Capital. That’s why they founded 4Degrees, which uses artificial intelligence to identify a user’s most important professional contacts. The platform also categorizes contacts to make it easier to find the ideal person to reach out to about an open role — either at their own company or elsewhere — or an investment opportunity. 4Degrees, a Techstars Chicago 2017 alum, is in the final stages of fine-tuning its platform. Techstars Chicago 2017 alum Abode wants to change the way people buy homes. Its platform uses data science to match home buyers with the right realtor and mortgage professional. In addition to matchmaking, Abode manages the myriad of documents that need to be signed and submitted in order to purchase a house and connects users with local moving companies and home inspectors. Chicago is quickly becoming a hub for insurance technology companies, but none are quite like Figo. The startup’s cloud-based platform provides a single portal for purchasing and managing pet insurance. Using the Figo app, pet owners can find a vet, schedule an appointment and file a claim using only their smartphones. Figo even offers a GPS-enabled smart ID tag that makes it easier to find dogs and cats attempting to reenact “Homeward Bound." Datacubes is a big data startup working to make commercial insurance underwriting more efficient. Its D3 platform gleans information from external sources to pre-fill applications, which cuts the amount of data underwriters have to hunt down and the number of questions applicants need to answer. And, they're flush with resources: Datacubes closed a $2.5 million Series A in September, its first-ever funding round. The Graide Network seeks to give overworked teachers a break by connecting them with virtual teaching assistants. These assistants, or “graiders,” are either aspiring teachers in college or those who’ve completed a four-year degree and are enrolled in teaching programs. Graiders support teachers by grading writing assignments and provide students feedback on strengths and areas that need improvement. As a result, teachers within The Graide Network are able to spend less time grading and more time developing lesson plans or working directly with their students. Keeping track of inventory in a warehouse is a time-consuming task that’s better suited to robots than humans. Chicago startup Intelligent Flying Machines (IFM) doesn’t build robots, but its drones are capable of navigating indoor environments and capturing data without the help of a human. IFM hit the college pitch competition circuit in 2017, taking fourth place in the Rice Business Plan Competition and capturing first place at the University of Oregon New Venture Championship. The startup also pitched at TechCrunch Disrupt San Francisco Startup Battleground 2016, although its demo didn’t quite go as planned. A lot of big data startups help companies find out what their data is saying, but not many know the tone of the message. That’s the challenge cognitive analytics startup NexLP is working to solve. In addition to gathering insights from unstructured data sets — think chat logs, emails and text messages — its Story Engine platform also analyzes a conversation’s tone. NexLP landed $3 million in funding back in October and announced that it would triple headcount, which at the time of the round was 10 employees, over the next year. Not every barber or hair stylist has the time to set up an online booking system. That’s where Booksy can help. The cloud-based platform and mobile app makes it easy for barbers, stylists, tattoo artists and other appointment-based industries to set up an online booking system. Last year, the company raised a $4.2 million Series A and relocated its top brass from Poland to Chicago. CEO Stefan Batory said the company plans to double the size of its American team, which has a current headcount of about 15, in 2018. The world of farming is becoming increasingly high-tech thanks to companies like Aker AG. The startup uses drones equipped with special sensors to capture aerial images of crops. These images are analyzed by Aker AG’s in-house agronomists who identify problem areas that require immediate attention. The startup expanded out of Minnesota last year and into Arizona and California’s Imperial Valley region. In May of 2017, Aker AG won the top prize at the Clean Energy Trust pitch challenge. Amper Technologies builds hardware and software that gives plant managers advanced insight into the performance of their machines. Its electrical current sensors provide real-time performance data and track machine performance metrics, including cycle time and downtime. According to Amper, its tech can be installed and online in under 30 minutes, with no machine downtime. TruePublic doesn’t fit into the mold of a typical Chicago tech company, and that’s one of the things that makes it so intriguing. The startup’s mobile platform provides a place for people to anonymously express their opinions on issues both controversial and mundane. To ensure anonymity, users are only asked to provide demographic details when creating a profile and are not allowed to interact with one another, although TruePublic does display voting results after a question is answered. Empty apartments are nothing but problems to building managers and property owners. But to ApartmentJet, these empty units are opportunities to enter the sharing economy. Its platform is designed to make it easier for building managers to list empty apartments on short-term rental sites such as Airbnb and HomeAway. 2017 was a year of solid growth for ApartmentJet. Its team grew from six employees to 10 and the company closed a $915,000 seed round in October. Benefit Mobile makes it easier for charities and non-profits to raise money. The platform allows users to donate to their favorite causes simply by making purchases with the Benefit app at participating stores, which include Panera Bread, The Home Depot and Target. Each time a user makes a payment at one of the company's partners, a portion is donated to the cause or group of their choice at no extra charge. Benefit Mobile has helped organizations raise more than $1 million since launching in 2017. Every time you send a file over the internet, there’s a chance it could fall into the wrong hands. Binfer is out to solve that all-too-common challenge. The Chicago startup’s desktop application automatically establishes a virtual private network between two parties. This enables documents to be sent and received without the need to store them on a third-party server. Look for Binfer mobile apps to debut this year. As you might have guessed, Bloq is all about blockchain. The startup builds enterprise blockchain apps, offers blockchain consulting services and runs a blockchain innovation lab. Bloq is also developing its own cryptocurrency called Metronome, the first designed to work across multiple blockchains. Metronome is scheduled to launch on February 5, 2018. Chicago startup ChangEd is helping American college graduates pay off their student loans one penny at a time. Its app connects to a user’s bank account and rounds up purchases to the nearest dollar, taking the excess change and putting it into a personal FDIC-insured account. ChangEd launched in March 2017 and was named one of Apple’s “New Apps We Love.” Look for its Android app in 2018. Unless you work as a cop, there’s a chance you haven’t heard much about CivicScape. The company develops predictive policing software that combines its own proprietary algorithms with a police department’s crime data to predict where crime will occur. The startup was founded by Brett Goldstein, a former Chicago police officer and a technologist who served as OpenTable’s director of IT. According to Bloomberg, nine cities have signed up to use CivicScape’s software, including four of the 35 largest cities by population. CloudRanger has developed a visual server management platform to make it easier for non-techies working in the cloud to keep an eye on their servers. The software lets users automate scheduling and backups without the need to write scripts or code. The first version of CloudRanger’s software was tech heavy, and it was only last summer that the company relaunched with its visual-based user experience. The shift doubled CloudRanger’s user count and helped lock down a $1.1 million seed round. Codeverse has an ambitious goal: teach one billion kids to code. To make that mission more manageable, the startup created KidScript, a kid-friendly coding language that teaches the fundamentals of programming. Codeverse, which was founded by former Techweek CEO Katy Lynch and her husband and Belly co-founder Craig Ulliott, opened its first campus in Lincoln Park last year. The startup is opening campuses in Deerfield, Naperville and Skokie in 2018 and is working on a SaaS product to teach coding to kids outside the Chicagoland area. Cooler Screens is a stealth mode startup with a leadership team that could leave even larger tech companies green with envy. The company, which builds IoT-enabled marketing screens for grocery stores, was founded by Livongo Health CEO Glen Tullman, Argo Tea CEO Arsen Avakian and former Walgreen’s CEO Greg Wasson. According to an SEC filing, Cooler Screens raised $700,000 in funding late last year. We anticipate learning more about what the company is up to later this year. Filling a prescription can be expensive, but it doesn’t have to be. Founded in 2014, eazyScripts’ software provides increased price transparency to doctors prescribing medication. In addition to giving physicians increased insight into drug costs, the MATTER-based startup’s platform also sends out alerts when patients with chronic illnesses fail to fill their prescriptions. EazyScripts closed its first round of funding in 2017, a $2 million Series A. At most workplaces, disorganization isn’t a life-or-death situation. But the operating room isn’t most workplaces. That’s why ExplORer Surgical has developed workflow software to help operating room staff stay on track during each step of a procedure. In addition to assigning roles and tasks to OR surgeons and support staff, the startup’s software also features a built-in analytics suite that tracks productivity and wasted supplies. ExplORer Surgical closed a $3 million Series A round last summer and has raised over $5 million to date. “Grubhub for concessions” is how co-founder Carson Goodale describes FanFood, a live event, on-demand food ordering app. FanFood launched in May of last year and already has 14 venues on its platform, from NHL and NBA arenas to a live events center in Iowa. 2018 could be a big year for FanFood as it looks to close deals with more venues and lock down a seed round of funding. Many people would like to spend more time volunteering but don’t know how to connect with organizations in need of help. The same goes for those who’d rather give money than time. GoCivic was launched to address this problem. The platform connects Chicagoans with local organizations and causes in need of volunteers and donations. In its 120-day impact report, GoCivic, which launched in July, reported that its platform facilitated the donation of $48,752 in cash and $35,575 worth of goods to Windy City organizations. The platform also logged 11,649 hours worth of volunteer time. HealthiPASS wants to make paying medical bills easier. Its tablet-based platform serves as an appointment check-in and payment station. After check-in, HealthiPASS displays the visit’s cost along with the amount covered by insurance. Patients only pay the amount of upfront costs, with a bill for the remaining balance sent electronically at a later date. HealthiPASS closed out 2017 by raising a $7.2 million Series A and is currently growing its team by two dozen employees. Heretik uses machine learning to make contract review more efficient and offers attorneys the opportunity to identify risks and obligations. The company was founded by Andy Abbott, Charlie Connor and David Barnes, the latter being former employees of legal tech giant Relativity, which is one of Heretik’s strategic partners. Last year, the two companies firmed up their partnership, with Relativity participating in Heretik’s $2.4 million seed funding round. With each passing year, more states are introducing policy to legalize the use of medical and recreational marijuana. But just because laws are changing doesn’t mean people feel more comfortable discussing their cannabis use online. That’s why Kannatopia was founded. The 1871 startup offers cannabis users 21 and older a place to connect and share reviews and experiences on strains, edibles and other marijuana-related products. Kannatopia launched in October of 2017 and is available in 29 states and Washington D.C. The company is currently raising a seed round. 2017 was a big year for Kin Insurance, whose platform uses big data to make applying for homeowners insurance easier. The startup announced a $4 million seed round and grew its team from eight employees to 15. Currently, Kin’s platform is only available to homeowners in Florida, but that's likely to change in a big way this year. Co-founder Sean Harper said he expects Kin to be live across the majority of the United States by summer. Online shopping has made it hard for brick-and-mortar retailers to survive, as well as the commercial real estate companies that rent them space. Megalytics uses big data analytics to give landlords insight into the viability of a prospective tenant’s business. These insights include everything from how a business matches up with the demographics of the surrounding area along with the likeliness that a company will default. In 2017, the company brought total funding to $3 million. Many millennials will eventually go from living a life of wanderlust and apartment leasing to settling down and owning homes. When they do, they’ll expect a mortgage application process that’s 100 percent digital. That’s the way MortgageHippo sees it, anyway. The startup has developed a white-label, online mortgage solution for lenders looking to go digital. MortgageHippo launched as a B2C company in 2013, billing itself as “the TurboTax for mortgages.” The company pivoted to a B2B model in 2016, a move which paid off quickly as the startup closed a $2.25 million seed round in April of last year. Next time you shop for groceries online, try to order smoked goat meat or oloyin beans. Chances are you won’t be able to find these niche products, which are popular in Nigeria. That’s why Boyede Sobitan and Fola Dada founded OjaExpress, an on-demand grocery delivery platform that specializes in ethnic foods, specifically those used in African and Caribbean dishes. The company was founded in late 2015 and opened its first market outside of Chicago last year when it expanded to the Washington, D.C. area. Blockchain isn’t just used to trade cryptocurrency. Omega Grid’s private blockchain technology allows utility companies to manage and facilitate peer-to-peer energy sales. In addition to generating extra profit for power companies, the platform helps consumers make and save money. Omega Grid allows those in homes with renewable power sources to sell excess energy to others at rates below wholesale prices. Packyge helps online shoppers discover local businesses through the magic of shipping. Specifically, the app pays users to ship their packages to local merchants instead of their homes. Area businesses see more foot traffic and online shoppers receive up to $40 cash back, in addition to not having to worry about their packages being stolen. Packyge was founded by tech industry veterans Abhi Dhar and Chandrashekhar Shetty. Dhar is a tech industry vet and former CIO of Walgreens while Shetty has worked as a senior software engineer at both Cisco and Raise. Phenix wants to make sure cable customers who cut the cord don’t regret their decision. The company has developed technology that enables streaming services to cut lag and deliver video content in near real-time. Although the startup is young, COO Tripp Welge said it has launched pilot programs with large tech companies, movie studios and U.S. sports leagues. Phenix closed a $3.5 million Series A in 2017 led by KB Partners, and has raised $4.8 million to date. Rentgrata wants to make it easier for renters to cash in on their building’s referral bonus. On the platform, apartment hunters connect with their would-be neighbors and ask questions about the building and the neighborhood. If they like what they hear and decide to move in, both parties are in line for a referral reward. Rentgrata is active in 70 buildings in Chicago. Running alone can be awesome, but for those times when you’d rather have a buddy or two beside you, there’s Stridekick. The startup’s platform lets wearable fitness tracker users form communities around their fitness goals, whether that’s training for a marathon or losing weight. Stridekick is free to use but also offers a premium plan for companies looking to help their employees lose weight. The startup counts over 350 corporate clients and has partnered with the city of Baltimore, among others, on public health initiatives. What if a family tree could help you stay on top of hereditary health risks? That’s the idea behind TapGenes, which uses informal quizzes about a user’s family to construct a family tree of health filled with information on hereditary traits and conditions. Users can invite their kin to the platform to further inform the development of the tree, and TapGenes offers integrations with DNA testing companies like 23andMe and Kailos Genetics. One day, nearly every device in a home will be “smart” in some way. Xaptum builds technology to ensure that day comes sooner rather than later. The startup has developed an infrastructure layer that creates a safe and smooth connection to the internet for smart home devices. Xaptum sells access to its platform to telecommunications companies, product manufacturers and any other business that’s looking to cut costs on developing IoT devices. To date, the startup has raised $2.2 million. Once each year, Built In Chicago hand-selects startups that have the vision, team, focus and funding to drive innovation within the tech community. For our 50 Startups to Watch in 2018 list, we chose local companies founded within the past five years that we believe have positioned themselves for rapid growth and scaling in the year to come.